I met this man on the beach. He is a fisherman who was taking a break after hauling his vessel in from the sea. I thought he was interesting so I took a quick snap. You'll find it hard to believe that in order to do this, I had to step my way over hundreds of fish heads!!! After the fisherman pull in their nets, they don't have time to gently take the fish out, so they yank them, causing parts to end up on the beach. The thought and smell still makes me queazy! 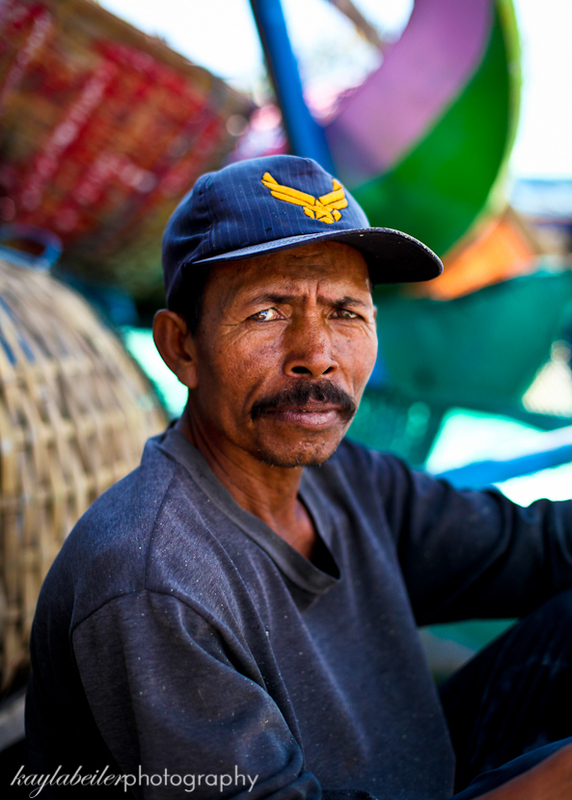 The fisherman in Jimbaran, Bali are hard working, and battle long hours under the scorching sun. They were covered head to toe in full garmented clothing. I was definitely the odd man out in my bathing suit.